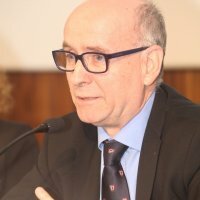 EL BLOG DE EDUARDO ROJO: El FMI valora positivamente la reforma laboral del gobierno del Partido Popular. .. y pide más. El FMI valora positivamente la reforma laboral del gobierno del Partido Popular. .. y pide más. Reproduzco, por su interés, un fragmento del Informe del FMI sobre España, hecho público ayer, en el que se valora positivamente la última reforma laboral. Como España es un “buen alumno” del FMI habrá que leer con atención todo el documento para saber qué más puede ocurrir en el próximo futuro en materia de relaciones laborales,… salvo que la ciudadanía afectada puede oponerse a ello. “36. The recent reform promises a significant improvement in the functioning of the labor market. This reform, enacted as a decree on February 2012, introduced measures that can importantly reduce labor market duality, wage rigidity and firms’ internal inflexibility. These should boost job creation over time by making wages more responsive to economic conditions, allowing firms to agree wages and working conditions according to their needs, and making firms more willing to offer open-ended contracts and step up in-job training.  Duality is reduced by lowering the dismissal costs of permanent workers for unfair dismissals. More importantly, the reform eases and clarifies the use of fair dismissals for firms in distress (those firms facing current or prospective losses, or a persistent decline in sales). It also reduces procedural costs and eliminates the need for prior administrative approval for fair dismissals. The goal is to make fair dismissals the regular channel to dismiss workers with permanent contracts in distressed firms, thus significantly reducing dismissal costs.  Wage rigidity and firms’ internal inflexibility are reduced by giving priority to firm level agreements over wider collective agreements. The reform also allows distressed firms to change working conditions, temporarily suspend contracts, and reduce working time. The goal is to allow distressed firms to adjust wages and working time instead of dismissing workers. In addition, the reform limits the automatic extension of expired collective agreements to one year. 37. The reform also introduces more targeted measures to foster employment and training, although some may have potentially limited effectiveness. The reform includes a number of measures aimed at fostering job creation for the youth and long-term unemployed, and in-job training. However, some of these measures are based on subsidies and tax breaks, which have been used in the past with little success. The measures that do seem more likely to foster job creation are the authorization for temporary employment agencies to act as private placement agencies, and the enhanced flexibility of part-time work and telework. 38. The reform’s success hinges on its implementation and further strengthening labor policies should be considered. Previous reforms have not been successful, largely as the changes were marginal and not widely used, in part, due to interpretation by the courts. The reform could also be strengthened, for example, by reducing the difference between protection for open-ended and temporary contracts to make the labor market more inclusive and by eliminating the practice of indexation and “ultra-activity”. The new flexibility options could also be better communicated to firms. And if sufficient firm-level flexibility is not quickly forthcoming (which should be transparently monitored), policymakers should prepare contingency plans, for example, by moving to an opt-in system for collective bargaining. The planned review of active employment policies is welcome and should carefully consider whether the unemployed are being given sufficient training and incentive to secure employment and whether the use of subsidies (that has proven inefficient and expensive in the past) offers the best alternative. Recent measures on fighting fraud, including on unemployment benefits, should also contribute to decreasing the size of the grey economy and strengthening labor policies".